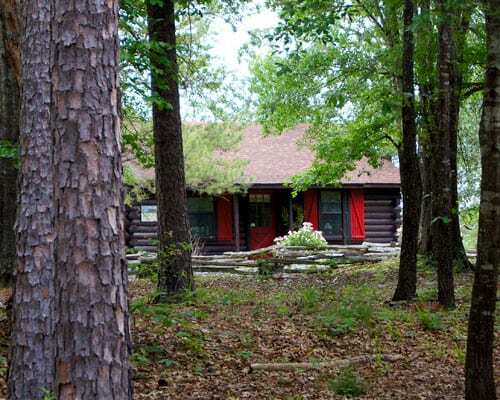 Cliffside Cabin is one of the most popular cabins on Eagle Creek Escape. It sits on the edge of a high bluff on Eagle Creek and offers a panoramic view of the Kiamichi Mountains. Enjoy the Aries Spa on the back deck while stargazing or eagle watching. One of the most beautiful sites is to lay in bed and watch the millions of fireflies outside the bay window; while the mountain range looms in the background.